$20 for 1 month of unlimited sending. CorpNote is an advertising-free service that lets you create and share business eCards, invitations and surveys via email, website links and social media. Advertising-free business eCards for all occasions. Choose from our card designs or upload your own. 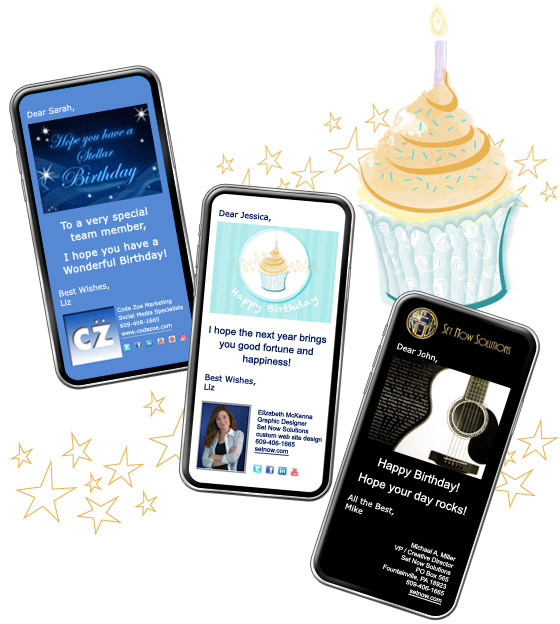 Set recurring eCards for birthdays, holidays, marketing campaigns and more. Easily turn any eCard into an online invitation for your business event. CorpNote is a professional, advertising-free way to manage events and communicate with attendees. Get immediate feedback! Find out what's important to your clients and employees with online surveys. View results in real time and export your data for further analysis. Automate the sending of eCards – month after month and year after year. Our Recurring eCard feature enables you to completely automate the process of sending online greeting cards such as holiday eCards, birthday eCards and anniversary eCards. You can also use recurring eCards for appointment reminders or any time you want to pre-schedule an eCard campaign. Never forget a birthday, anniversary or special occasion again! Learn more about recurring eCards. Easy to Use. No Advertising. Whether you're the owner of a small business or an administrator for a large company, CorpNote can help make the sending of holiday eCards a lot less stressful and help you improve your business relationships year 'round. 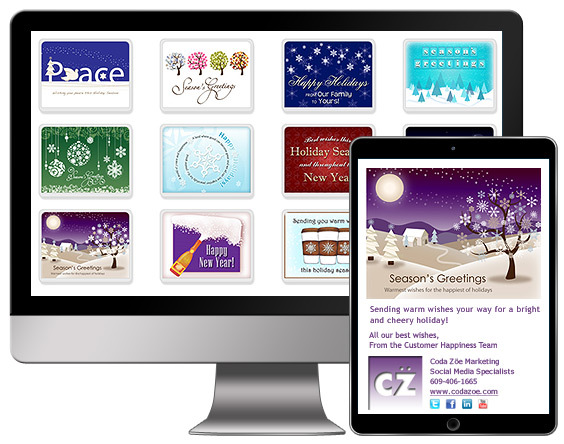 Join CorpNote to send your holiday eCards with no long-term membership commitment. Learn more about CorpNote holiday eCards. Learn more about creating a custom interface.